The 2011 AAU season will be Coach Fudd's third year with the Matrix, coaching the Matrix Aces, a team or teams for players with aspirations to play college basketball, which will compete in exposure tournaments throughout next spring and summer. Coaching background. Coach Fudd has been the Head Girls’ Basketball Coach at Potomac School in McLean, Virginia since 2003 and is the founder of Game-Time Skills, LLC. She led her GTS Aces Showcase team to the Bronze medal at the 2008 AAU Open Division National Championships. Over the years, Coach Fudd has provided skills training to professional basketball players and has trained approximately 30 players that have gone on to receive college scholarships. Playing history. 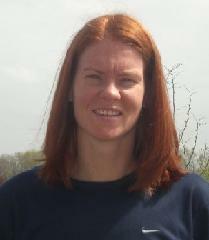 Coach Fudd graduated from Georgetown University in 2001, where she finished her career with 2,027 points. She led the Big East in scoring for the 1999 and 2000 seasons. Prior to transferring to Georgetown, she was ACC Rookie of the Year in 1996-1997 at North Carolina State University. She graduated from James Madison High School (Vienna, VA) in 1996. While at Madison, she set the all-time school scoring record (boys or girls) and a host of other school records, many of which she still holds. In both her junior and senior seasons, Madison finished runner-up in the Virginia Group AAA State Championships. In 2006, Katie was named the #18 all-time athlete, for all sports, in Northern Virginia history by the Connection Newspapers. Coach Fudd may be reached at .